When I was 15 years old and broke up with my first boyfriend for the third time, I consoled myself by throwing my beeper (yes, beeper) across my bedroom, stomping into the kitchen and weepily whipping up a large, sweet, chocolate-dense Texas sheet cake. Some people drown their sorrows in booze and painkillers and a quick 10-pound weight loss. I tend to go in the opposite direction straight towards the nearest bag of refined white sugar. It’s just the way it goes with me and some things will never change. Over the weekend, I got into a fight with a boy who was clearly indulging in some seriously idiotic behavior—I’ll save you the brain-deadening details—and proceeded to storm semi-dramatically (it could’ve been better/more dramatic) out of the bar we were in and jumped into the first moving yellow taxi I saw. By the time I stepped into my apartment, I had successfully ignored five phone calls from aforementioned idiot boy. Alas, restraint has never been my strong suit, and when I heard my iPhone’s jingle for the sixth time, rage stepped in and composure stepped aside. In other words, I picked up the call and lost it. LOST. IT. Not pretty. Anyway, when I woke up the next morning, bleary-eyed and drained from the late night emotional gymnastics, I didn’t pick up the phone and call a friend to rehash all the ugly details, I didn’t pop an Advil and drift back to sleep, I didn’t even delete him from all my social media outlets. Instead, I went straight to the kitchen and started pulling ingredients out of the cupboard and assembled the same gooey, decadent, completely delicious Texas sheet cake I’ve been making since the beginning of time (or, at least, since the beginning of boy problems). And you know what? It worked. I felt better. That’s what Texas sheet cake does. It makes everything better in the 25 quick and easy minutes it takes to come together. It’s like magic in the form of some good old-fashioned Southern comfort. Try it. 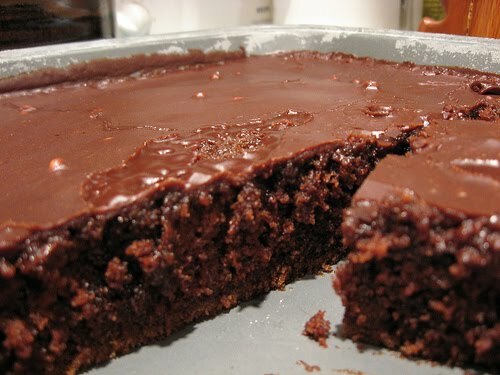 Cake: Combine butter, water, and cocoa in saucepan over medium heat; heat until butter melts. Add sugar, flour, salt, eggs, soda, sour cream, and vanilla; mix well. Pour into a 15x10x1-inch jelly roll pan. Bake at 350° for 20 minutes. 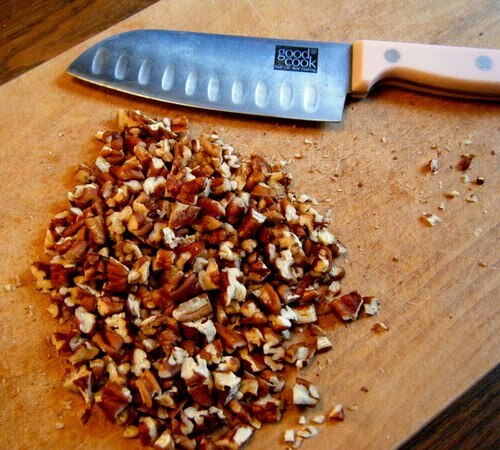 Spread frosting over hot cake and sprinkle with chopped pecans. For frosting, combine butter, cocoa, and milk in a saucepan; bring to a boil. 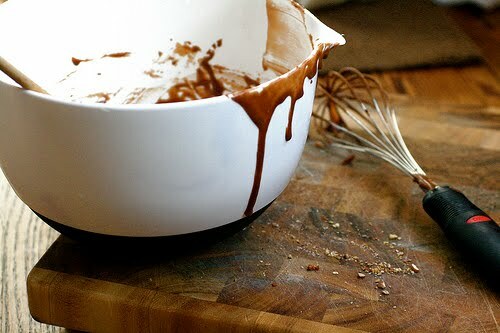 Add remaining ingredients and mix well with electric mixer. 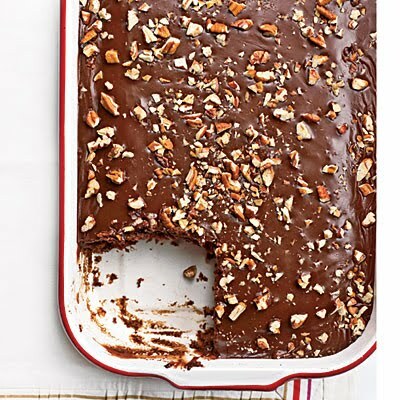 Spread over the hot sheet cake then sprinkle with chopped pecans. love this post! boys are dumb anyway.